Danny Mensik et ses potes en Islande. Des paysages de rêves au pays des fées ! The Danny Mensik interview ! 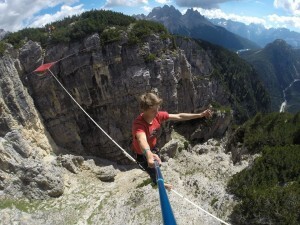 Danny is one of the most inspiring person in the slackline community and yes he does love chocolate ! He is an awesome person who takes life simply and trains hard to push our sport ! Thanks Danny for everything you do. Since how long do you slack ? Hm… damn it ..a bit more than 3,5 years! Time goes fast. How did you enter into EQB? 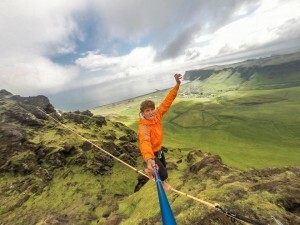 The longest line you ever walked: highline and slack ? What did you do last sunday? I was having lot of fun at cottage in the Czech mountains. Nothing, I take myself with all the errors. Wall street crash. To lost it. Something in your refrigerator ? What country would you most like to visit ? What webbing do you usually use ? Your first thoughts upon waking up are ? 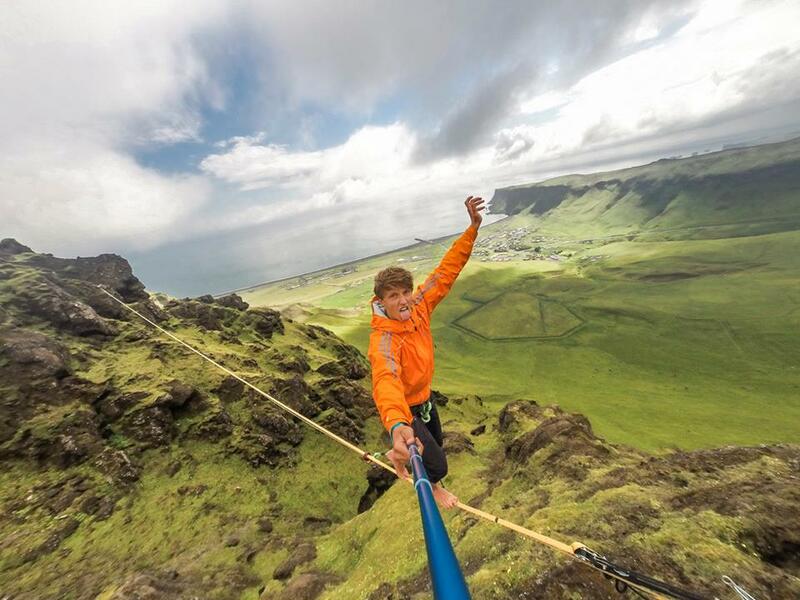 What passion did you have before slacklining ? The song you usually listen when you slack ? to my mum, that I have no more chocolate. The best word to describe your life is ? What quality do you admire most in other people ? 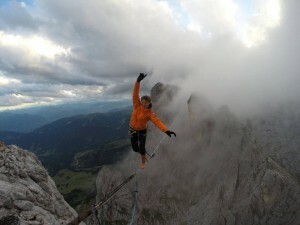 Highline should be completely free or there should be rules ? One: not to be an idiot and use common sense. only for selfmurders with no respect of life who don’t like themselves and want just to show off. Where did you travel during 2014 ? Turkey, France, Germany, Poland, Iceland, Austria, Italy, Slovakia. And I also visited school couple times. What goals would you like to achieve this year ? I wanted to do first real spaceline, but NASA doesn’t share my enthusiasm about this idea. Maybe Putin will like it. An awesome video with Danny that we find inspiring ! Record du monde longline Polyester. 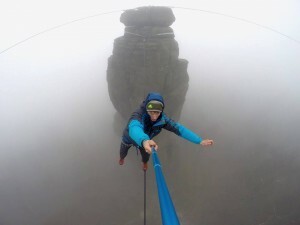 Le record du monde actuel en longline Polyester est detenu par le Tchèque Danny Mensik avec 380m établi en septembre 2013 à Prague.